Jill's Compelling Personality. Your personality can be a resource. Jack Butala: Welcome to the Jack Jill show. It’s here that we provide entertaining real estate investment advice. I’m Jack Butala. Jill DeWit: I’m Jill DeWit broadcasting this week from sunny Southern California. Jack Butala: Today, Jill and I talk about Jill’s compelling personality. It’s what everybody needs. Everybody really needs a Jill on their team, I guess. Jill DeWit: Are you sure about this, Jack? I have to say, when I read this title, I went, “Uh-oh, this can go a couple different ways.” Some days you think it’s good, and sometimes I’m sure you want to throttle me. Jill DeWit: Well, there are days that you think that I should be a little more serious. Don’t you think? Jack Butala: That’s only when we work together. Jill DeWit: Oh, thank you. So, that’s it. There is no gray area. Okay. Jack Butala: Let’s take a question posted by one of our members on the JackJill.com online community. It’s free. Jack Butala: I bet if he’s got a wife, I’d bet she’s used to saying that. Jack Butala: The sound of radios clicking off all over the world. Jack Butala: You know, it works with Jill you too? Jill DeWit: Yeah, it does. All right, it says, “Hello. My name is Jeff, and I am from the metro Detroit, Michigan area. Jack Butala: I’m so sorry. I can say that because I’m from Detroit. Jack Butala: There is a wife. Jill DeWit: … is not 99.9% bought on to this idea.” So, does that mean she’s all but one little piece? Jack Butala: No, she’s not into it yet. Jill DeWit: Oh, okay. “Right now, I told her I’m just learning. What to do about a non-compliant spouse?” Well, that’s two different questions, isn’t it? First of all, one is, “What do I do?” Two is, “How do I handle a non-compliant spouse?.” Like, in life? Jill DeWit: I’d like to tackle them as separate questions. Jack Butala: I had our producers put this in here, Jill, for you. Jack Butala: I mean, I know you deal with this question a lot, like, “Hey, my … ” You used to take calls. I don’t know if you still do. Jack Butala: Oh, that’s good. Jack Butala: Yeah, what are the questions you get? Jill DeWit: It’s the question of the wife is like … it’s just questions that she doesn’t understand it. Part of it is too, I think woman to woman, we can talk a little bit. Let’s be honest, we women make different decisions, and we are often more conservative than men. Right? When a woman can talk to another woman and go, “Okay, now we can all calm down, ask some good questions, and really wrap our heads around this.” I just answer questions. It’s usually not about numbers, it’s just kind of big picture stuff, what’s been my experience, what is my role, what does she need to contribute kind of thing, how much time will it take away from him and the family, whatever it is. Maybe it’s he’s got a job or something that’s holding her up. Jack Butala: Here’s what I think they’re really asking. Jill DeWit: Mm-hmm (affirmative). What’s that? Jack Butala: Regardless of gender, because there’s so much melarkey out there. Are you real people, and does it work? Jack Butala: Is this just one of those educational programs out there? Let’s face it, there’s a lot of them. Jill DeWit: It’s funny, fortunately I’ve not been asked that question. I’m sure that those questions do go on after they hang up the phone, seriously. I can just sense it. It’s true, once they talk to me and they realize, “Okay, this is something … this could a good thing,” they hang up the phone. I’m sure the next question is, “Will you stick to it?” Actually, I answered too soon, because sometimes that is part of their questions to help the husbands stick to it. They do ask, “What kind of support will we have?” We do have to offer a lot of support. Jack Butala: We have crazy support here. Jill DeWit: That’s, I think, one of the differences in why our people in our world, our members are so successful, because we’re right here. We’re on the show. We have our weekly member call. They can do consulting with us. We have our online community. Jack Butala: Our online community is … I have never seen anything like that. Jill DeWit: I know. I’d like to take credit for that. Jill DeWit: No, you developed it, but it was … I’m just kidding. Jill DeWit: You created it. Jack Butala: … from start to finish. I’m going to pat myself on the back a little bit. Jack Butala: If you go to JackJill.com and click on community, it takes you there. Jill DeWit: Mm-hmm (affirmative). It’s awesome. Now, that covers that. What about a non-compliant spouse, Jack? What would you do? You’ve been married. Haven’t you had a non-compliant spouse before? Jack Butala: I have. I have. Jill DeWit: How did you solve that? Jack Butala: It’s interesting, because I think what goes on … I’m actually writing a book about this, about helping young men get over, or get into, or be successful, whatever. I think that men try to emulate … they either emulate the environment they grew up in, or they do a 180 and say, “Geez, I don’t want that.” They both fail, because you have a lot less in control in any relationship than you really think. The best thing you can do is just roll with it. There’s no such thing as compliant or non-compliant spouses. We laugh about this a lot of this show, as we should, in a light-hearted kind of saying, “Oh yeah, that happens all the time.” The fact is, you just don’t have too much control over this stuff with people. Don’t you think? You’re pondering. Jill DeWit: I am. I’m not sure I buy that. I don’t know. Jack Butala: I just think you’re either all together when you meet, and then you can plus or minus. It’s like kids. They come out the way they are, and plus or minus five percent, they’re going to change but that’s about it. Jill DeWit: … and you need to take a step back and figure that out. Jill DeWit: Let’s be honest. You say, “Hey look, I’m going to do … I could buy them for a 1,000, sell them for 2,000, then make it to 4,000, then make it to 8,000. If you sit down with your wife and show that, then it’s hard to argue wit that. Jill DeWit: Then that solves the problem. Jack Butala: People join our group because they really want to success financially. I don’t think that there’s any other reason that you would join our group. If there is, it’s … You just go get some friends. Jill DeWit: You have a lot of spare time. Yeah. Jack Butala: You’ve got to be pretty motivated to spend some money and make that time commitment. Yeah, if you don’t have a spouse that’s like, “Oh, whatever,” then that’s a big problem. Jack Butala: I mean, that’s a huge separation, I would say probably a bigger problem than this. Jill DeWit: Oh, yeah. That’s the whole point. Again, you don’t have the same goals. Jill DeWit: That’s a bigger problem. Jack Butala: Or saying the same thing. Jill DeWit: That’s true, because I’m pretty compliant. Jack Butala: Okay, well that’s the joke of the century. Jill DeWit: Oh, no. All right, move on. Jack Butala: Move on. How’s that for compliance? Jill DeWit: Next topic. That’s for you. Jack Butala: It’s an inside joke. Jack Butala: Today’s topic, Jill’s compelling personality, which we kind of just went through. Jack Butala: This is the meat of the show. Jack Butala: I’m watching a movie on Netflix a few days ago when I was writing the topic here about Jim Carrey and his whole take on Andy Richter. Apparently, Jim Carrey tries to emulated Andy Richter as a comedian. Jill DeWit: Here I come to save the day. Jill DeWit: Didn’t he do that? Didn’t Andy Richter do that little thing, Mighty Mouse thing? Jack Butala: He was on Taxi. Jill DeWit: That’s him. He used to do the, “Here I come to save the day,” the Mighty Mouse thing. You never saw that skit? Jack Butala: I never saw the Mighty Mouse skit. I just remember it from … Well, and then I watched the whole thing. Apparently, he did a lot of other stuff. Jill DeWit: He would be him in his character, and he was like lip-syncing to this little Mighty Mouse song on a little album, on a little phonograph, whatever. Jill DeWit: Yeah. What’s politically correct? Jack Butala: “You got to show up for that and create that persona.” He said, “Most people never even know about it, and the ones who do don’t implement it. 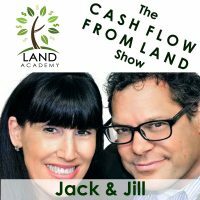 You have to become … ” You and I do it, Jill, and I think that’s one of the reasons, is Jill’s compelling personality, it’s one of the reasons that we do so well buying and selling real estate. Jack Butala: You have to create a personality. You can’t just walk around kind of like … Did you ever watch an interview with a comedian or maybe like a sitcom star? I saw an interview with Kelsey Grammar one time, and he’s just sitting there with his head hanging having the interview. I’m like, “Well, where’s Frasier? Where’s the character that he plays?” So, that’s what I think Jim Carrey was saying. You can’t be on all the time, certainly, but if you’re going to show up for a meeting, or if you’re going to show up on the phone with somebody who wants to buy a piece of real estate, create a kind of persona that’s interesting and fun. Maybe your kids don’t know that person, but a person who is buying and selling, or being a business owner, or being an accountant, put some effort into that. I really think that it’s important. Jack Butala: You know what, Jill? I learned that from you. Jack Butala: Before I met you, I did a version of it, I think subconsciously, but until I met you … I know that’s just natural, naturally how you are. I think a lot of salespeople know this. Career salespeople know that you can’t just sit there and say, “The product is really useful.” You really have to show up. Jill DeWit: Exactly. It’s not fake. Jack Butala: No, I know. Jack Butala: It’s enhancing your own personality. Jack Butala: You have to be enthusiastic. Jill DeWit: You know what I mean? It’s not a negative thing, and it shouldn’t be a fake thing. So, I don’t want anybody to think that I’m walking around faking it all the time, because I’m not. This is actually how I am. Jill DeWit: They’re on the phone and they’re like, “Okay, I want to be an investor.” I’m like, “Well, then start calling yourself an investor.” The minute you put a dollar into something, you’re investing in it. Just start acting like it. Put that hat on. Jack Butala: Start acting like it. Jill DeWit: You are an investor. When these people start calling you back, nevermind you haven’t really closed your first transaction yet. You’re doing it, you are an investor. Jack Butala: That’s exactly what I mean. Jack Butala: Walk the walk, talk the talk. Jack Butala: There’s a lot of different cliches that refer to it, but my point is be the person that you think that they need you to be. That’s what it comes down to. I’m not saying be a chameleon. I’m not saying an altruistic, go be everything to everyone. I’m just saying, when somebody wants to buy a piece of real estate and you’re on the phone with them, or more importantly or appropriately for us, when you’re on the phone, you send a bunch of letters out and you’re on the phone speaking with people who want to sell their real estate to you. What are their concerns? Meet that person from where they’re coming. They want to know they’re going to get paid. They want to know it’s going to be a smooth transaction. They want to know you’re not a crook. They want it to be relatively speedy, professional, and [crosstalk 00:14:48] they want to know it’s real. Jill DeWit: … kind of thing. Exactly. Jack Butala: I’ve heard you almost a million times on the phone with sellers. You just naturally do it. I think that it’s way more special and unusual than you think. Jill DeWit: Oh, thank you. I really appreciate that. Jack Butala: It’s Jill’s compelling personality. Jill DeWit: Thank you. I think the point here is, once you put that hat on and go, “You know what? You’re right. I am that person,” then you really start to believe it, feel it, act it, and it all comes natural. It shouldn’t be that difficult. Say you want to be a comedian, but you’re really not that funny. There might be some things that are a stretch, and you have to realize that. However, we all know those people that overcome some crazy things, and maybe they do become a comedian. Maybe they grow up in a boring household, and they’re always walking around mopey. Maybe that’s their gig. Maybe they use it to their advantage. Jill DeWit: He did talk like that. Jill DeWit: Is that his name? Jill DeWit: Okay. Yeah. Curly hair. Jill DeWit: He kind of looked like you. Jill DeWit: He had curly, curly dark hair and stuff, so yeah. Jack Butala: My favorite joke, he said, “I have all the erasers for all the golf course pencils.” I don’t know why I thought … I remember him saying that. Jill DeWit: That’s really good. I like that. Yep. There you go. Jack Butala: I went and saw him live a long time ago. Jill DeWit: Well, that’s cool. Where was that? Jack Butala: It was in Detroit. That’s how long ago it was. Jack Butala: A long time ago. Jill DeWit: That was a long time ago. Jack Butala: Well, you’ve done it again. You’ve wasted another 30 minutes listening to the Jack and Jill Show. 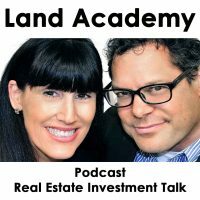 Join us tomorrow where we discuss why you should add houses to your land business. Maybe not the other way around, but we’ll talk about that. Jill DeWit: We answer your question, should you have one. Post it on JackJill.com, our online community. Jill DeWit: It was funny when I read the title. I wasn’t sure what direction you wanted to go with this. I’m like, “Uh-oh. Is he going to share some annoying personality traits?” Let’s face it, we all have them. Jack Butala: Oh, no. Geez. Jack Butala: You want to talk about your annoying personality traits, we can do that. Jack Butala: You can give mine too. Jill DeWit: If you had to pick, what’s one of my worst annoying personality traits? Jack Butala: Okay. It’s timely, and it’s hard to even say it out loud because it’s not negative. Jill DeWit: It’s the end of the year coming up. I’m happy to embrace this, take it in, and I’m going to work on it. Go for it. Jack Butala: I’m going to say this and then everybody listening is going to say, “If that’s the biggest problem you can come up with with your significant other on this planet, you need to just shut up.” They’re going to say that to me. Jack Butala: You can be overenthusiastic about stuff that is just incredibly trivial. Jill DeWit: I do get excited. Jack Butala: For instance, Christmas. Jill DeWit: No, you’re right. Jack Butala: Jill and I recently went to go drive exotic Italian sports cars at a dealership. She had her checkbook out, and I was the voice of reason and said, “This is maybe the silliest thing.” I mean, I agreed to it because it’s just fun. Jill DeWit: I know. [crosstalk 00:18:32] That was fun. Jack Butala: It’s not critical. Jill DeWit: We had to go to Beverly Hills to do it. That was hilarious. Jill DeWit: Oh, it’s hard to do. Jill DeWit: You can’t take the Ferrari … How does it go? Jack Butala: I think that you do it because you know I am going to step in a little bit. Would you have bought that car? Let me ask you that. Jack Butala: You would have bought that car? Jack Butala: It looked like you were going to buy it to me. Jack Butala: You don’t look stupid in an Italian sports car. Jack Butala: That’s not possible. Jill DeWit: I look like … I don’t know, I can’t handle it. It’s going to be too loud. It just doesn’t make sense. Jill DeWit: It’s going to be uncomfortable. Jack Butala: That’s what I thought too. Jack Butala: You always seem to get over all those things. Jill DeWit: I went, “This is not like I thought.” I was really pleasantly surprised. I can fit more than my purse in this truck. I was happy. I could fit one suitcase. Jack Butala: All those cars were two-seaters, which is huge. Jill DeWit: I really like that. Jack Butala: Two people, not five. Jack Butala: Upward of three.